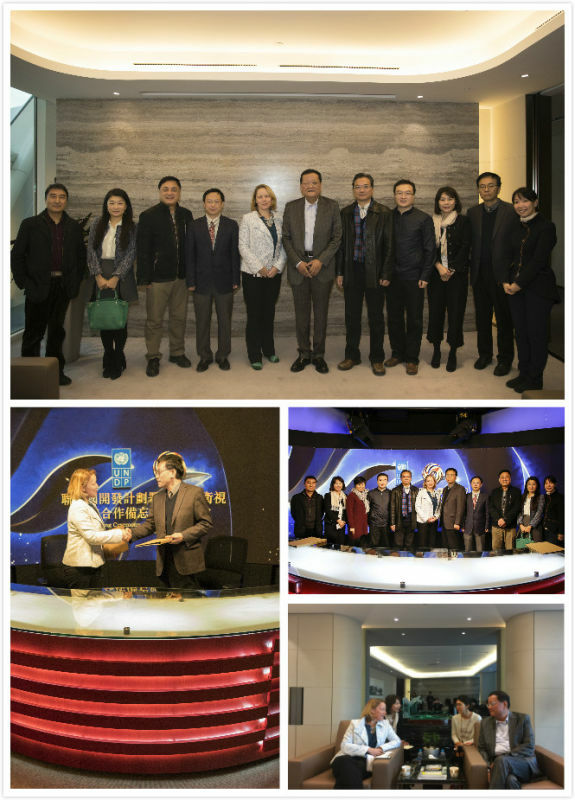 United Nations Development Programme (UNDP) Country Director in China Ms. Agi Veres visited Beijing Phoenix Center and held talks with Mr. Liu Changle, Chairman and CEO of Phoenix TV. Chairman Liu expressed his gratitude to UNDP for its efforts in China. Right after the visit, Phoenix Satellite Television and UNDP in China has jointly announced a new strategic cooperation on advocating sustainable development. The announcement was made in Beijing where Ms. Agi Veres, Country Director of UNDP in China and Mr. He Daguang, Executive Vice President of Phoenix Satellite TV signed a Memorandum of Understanding. The 2016 Honours and Awards Presentation Ceremony held in Hong Kong today. A total of 339 people have been given awards this year in recognition of their contributions to the society. 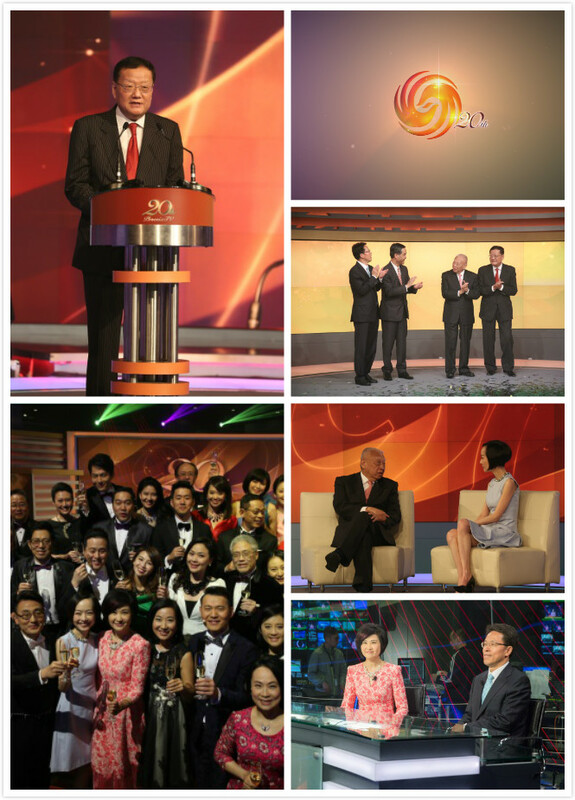 Mr. Liu Changle, Chairman and CEO of Phoenix TV is honored to receive the Gold Bauhinia Star. 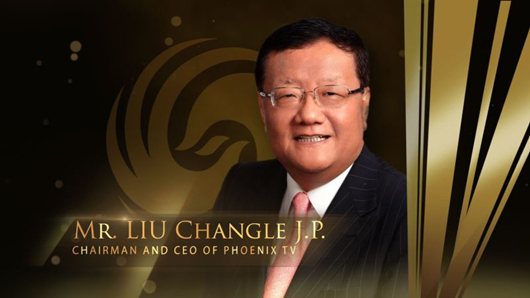 Mr. Liu founded Phoenix TV in 1996, which now operates six satellite TV channels and has merged many other business fronts, including new media, outdoor LED, publishing, radio broadcasting, weekly magazine and education. His dedication and contribution to the media industry are highly recognized internationally. 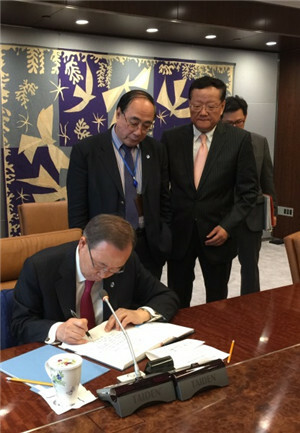 8 JULY 2016: United Nations Secretary-General, Mr. Ban Ki-moon, visited Beijing Phoenix Center. He used the word “Amazing” to express his appreciation in the architecture of Beijing Phoenix Center. Mr. Liu Changle, Chairman and CEO of Phoenix TV, accompanied Mr. Ban during his visit. 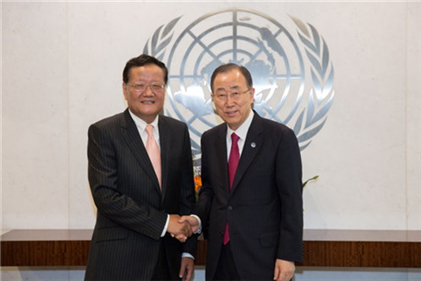 The pleasant conversation of Mr. Ban and Mr. Liu has come across political and media fields. 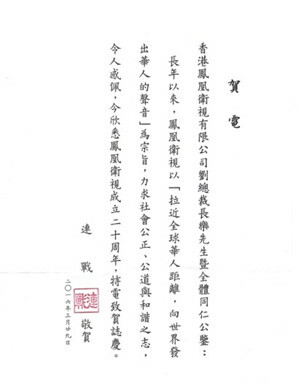 1 JULY The 2016 Honours List is published in Hong Kong. A total of 310 people have been given awards this year by The Chief Executive in recognition of their contributions to the society. 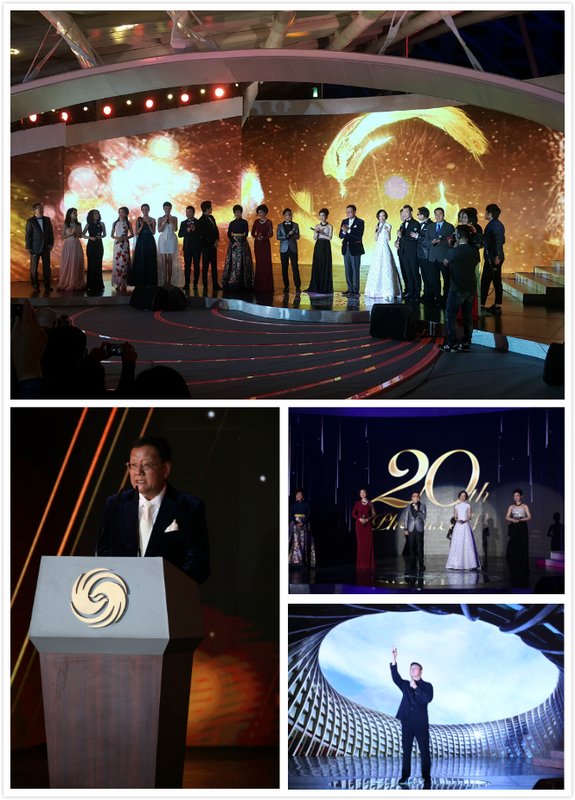 Mr. Liu Changle, Chairman and CEO of Phoenix TV is honored to receive the Gold Bauhinia Star. Mr. Liu has demonstrated brilliant leadership and successfully developed his business group from a one-channel station to a multi-channel television broadcaster and an omni-media corporate group which engages in mobile and internet-related businesses. 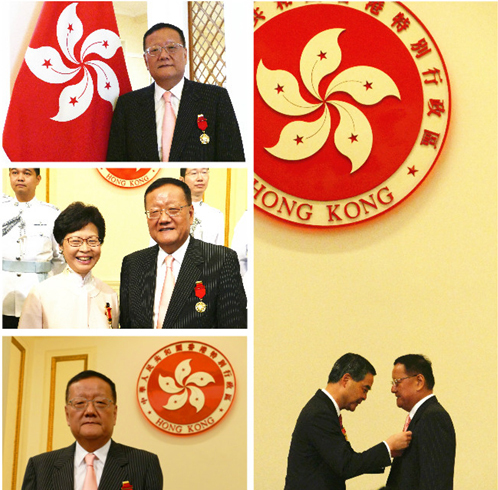 His achievement in the broadcasting and multi-media sectors have earned him international respect, and his multi-media business model has contributed to Hong Kong's development as a reginal broadcasting hub. 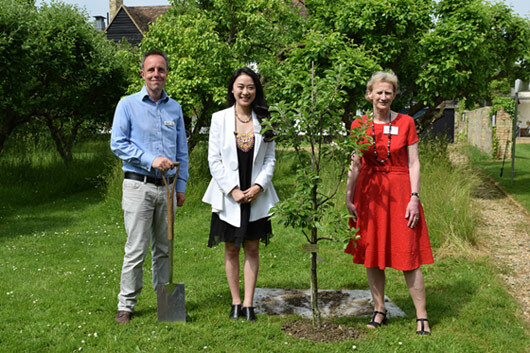 10 June: Churchill College, University of Cambridge named a new garden in Ms. Xiaotian FU’s honour. Xiaotian FU completed a graduate degree at the college, and is now a Phoenix presenter, hosts the programme “Talk with World Leaders”. The official ceremony of launching the Xiaotian Fu Garden was held on 10th June. 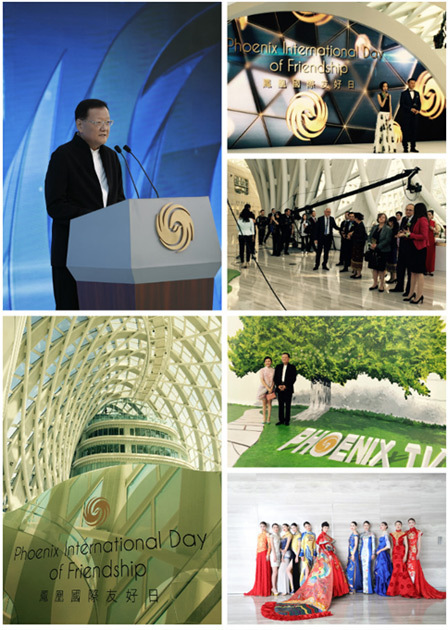 The Phoenix International Day of Friendship was held at the Phoenix Center in Beijing to express sincere gratitude for the support of the worldwide friends. 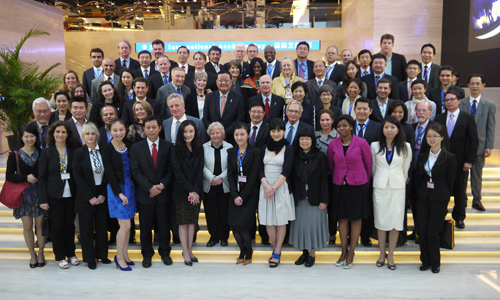 More than 100 ambassadors and representatives of international organizations attended the event. A memorable cocktail was held in HK Headquarters to celebrate the 20th birthday of Phoenix. 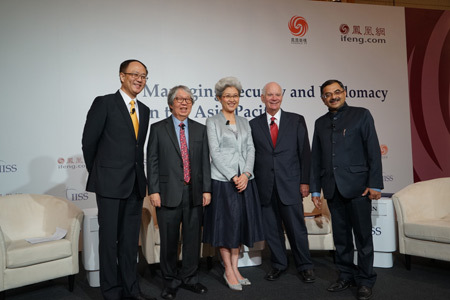 Mr. Tung Chee Hwa, Vice Chairman of the National Committee of CPPCC, Mr. Leung Chun Ying, Chief Executive of HKSAR, and Mr. Zhang Xiao Ming, Director of the central government’s liaison office in Hong Kong, were the guests of honour. Phoenix five channels broadcast the event live to mark the occasion. Various leaders, high-ranking officials and numerous dignitaries also sent congratulatory telegrams or video to applaud Phoenix’s success. 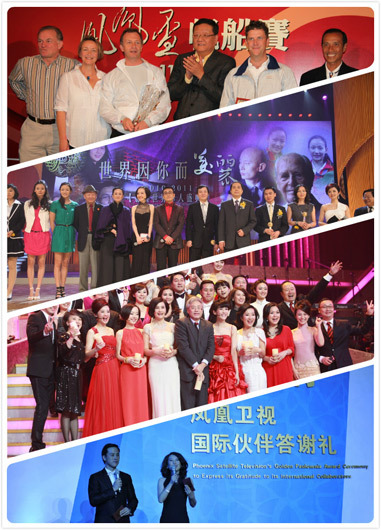 A special extravaganza was held at Phoenix Centre in Beijing to appreciate the support of friends over the years. Phoenix’s novel architecture marked the open, innovation and professional spirit of Phoenix that kept us going and moving forward. Phoenix CEO Mr. Liu Changle is grateful for the formidable era and the rise of the nation, Phoenix TV is fortunate to witness the history in the making and ride on the tide of the times. 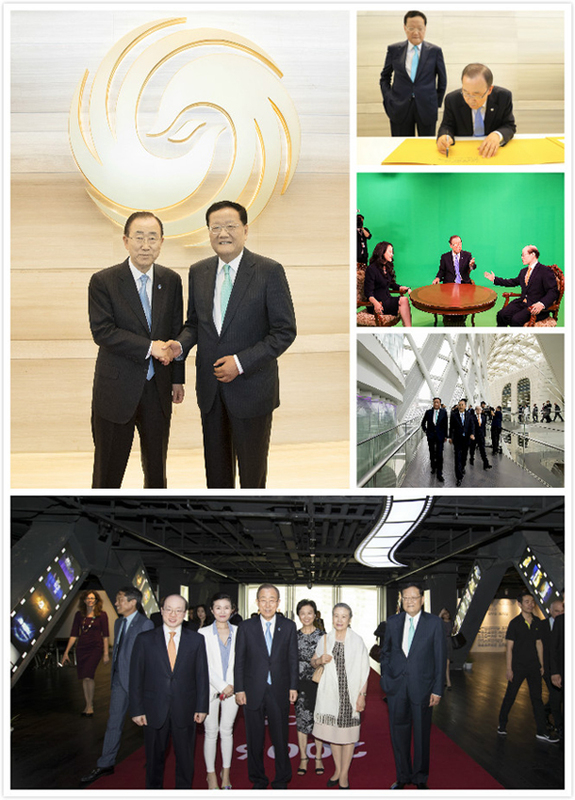 As Phoenix TV celebrated her 20th anniversary in March, United Nation Secretary General Mr. Ban Ki Moon received Phoenix TV delegation led by CEO Mr. Liu Changle at UN headquarters in New York. UN Secretary General acknowledged the contribution made by Phoenix TV over the past two decades in strengthening the communication between China and the world and promoting mutual respect and understanding. 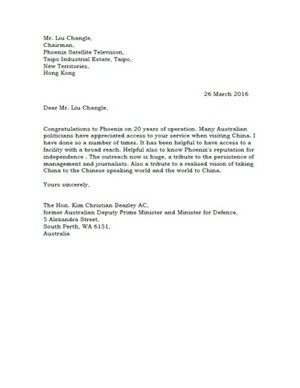 He wished that Phoenix TV will continue to serve and connect. 12 JAN：Phoenix Satellite Television worked together with the China Strategic Culture Promotion Association and the Shenzhen and Hong Kong Investment Alliance to hold the 2015 Shenzhen and Hong Kong Innovation Forum in Shenzhen. The Forum attracted over 400 government officials, commercial leaders and university scholars to attend and to discuss the opportunities for Hong Kong and Shenzhen to create a new wave of commerce with the international world on the innovation front. The Chairman of the Chinese Association of Hong Kong and Macau Studies, Mr. Chen Zuoer, the Secretary of the Shenzhen Municipal Committee, Mr. Wang Rong, and the Chairman of the Shenzhen Chamber of Investment, Mr. Hou Weigui, spoke at the opening ceremony or made major presentations during the Forum. Mr. Liu Changle J.P., the Chairman and Executive President of Phoenix Satellite Television and Senior Adviser to the China Strategic Culture Promotion Association made a major address to the Forum and also made the concluding address. 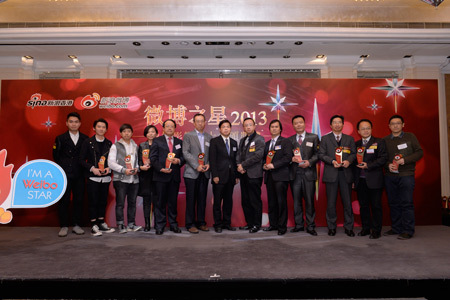 17 MAR：The Hong Kong office of Sina Weibo held the “Weibo Ten Most Influential Awards Ceremony of 2014”, which identified the most influential enterprises, media groups and the most popular topics in Hong Kong. 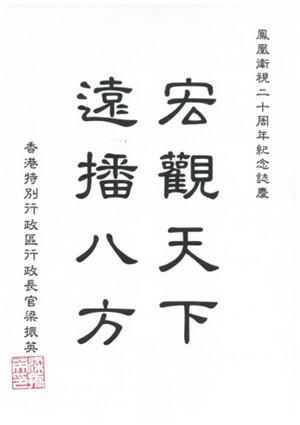 Phoenix relied on its active presence on Weibo, its power of communication, and overall coverage to once again win the award for being the number one of the “Top Ten Weibo Most Influential Hong Kong Media in 2014”. 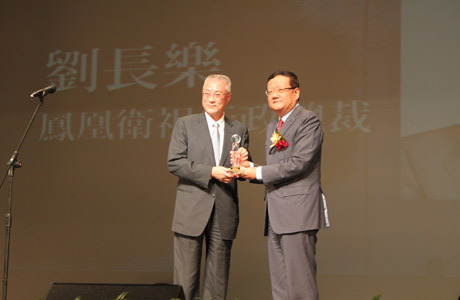 The Vice President for International Operations, Mr. Liu Qingdong, accepted the award. 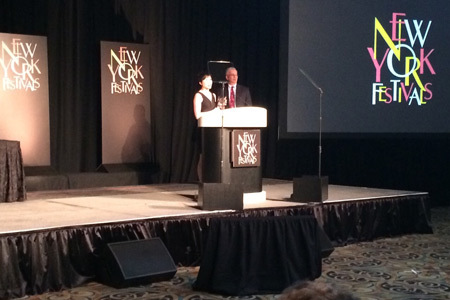 14 APR：The New York Festivals World’s Best TV and Film 2015 Gala was held in Las Vegas. On this occasion, there were film and television companies from over 50 countries, and Phoenix Satellite Television’s “Somewhere Out There” won the Silver World Medal for Best Direction and Best Camerawork in the Music Video Category, and “Phoenix Afternoon Express” secured a Finalist Certificate in the News Promotion Category. Besides Phoenix, other television companies that won awards included America’s CNN and ESPN, the United Kingdom’s BBC and Hong Kong’s TVB, RTHK and Cable TV. 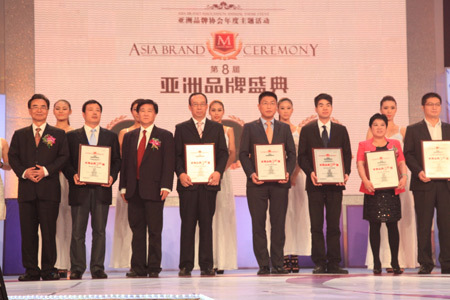 21 SEP：At the tenth “The Asia’s 500 Most Influential Brands” in 2015, which was organized by the World Brand Laboratory and the World Executive Group, Phoenix was named for the tenth time as one of the “The Asia’s 500 Most Influential Brands”, with a ranking that was eleven places higher than last year. Phoenix was also named as one of the four most influential television media brands in Asia. Phoenix Executive Vice President and Chief Financial Officer, Mr. Yeung Ka Keung, received the awards from Professor Stephen Woolgar of the Said Business School of Oxford University and Professor Ravi Dhar of the Yale School of Management. 17 OCT：The final gala event of the 2015 Miss Chinese Cosmos Pageant was held in the International Circus City at the Chimelong International Ocean Resort in Hengqi, Zhuhai. The final twelve contestants held a question and answer session with the judges, and performed dances and other forms of entertainment. Miss Guo Yangzi from Shaanxi won the first prize, Miss Wu Weiting from Taiwan won the second prize, and Miss Li Luya from Guangdong won the third prize, and also won the Most Beautiful Woman on the Internet Award. During the Miss Chinese Cosmos contestants international travel program, the New Zealand contestant, Miss Jiang Ruijia, won the Miss Friendship Award at an event in Georgia. 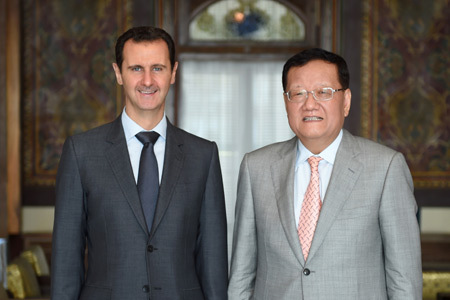 8 NOV：The President of Syria, Bashar al-Assad, met with the Chairman and CEO of Phoenix Television, Mr. Liu Changle J.P., at the Presidential Palace in Damascus, and discussed the protection of the cultural heritage items in the war-torn regions of Syria and the Middle East and other issues including the process of reconstruction of the region after the conflict is over. 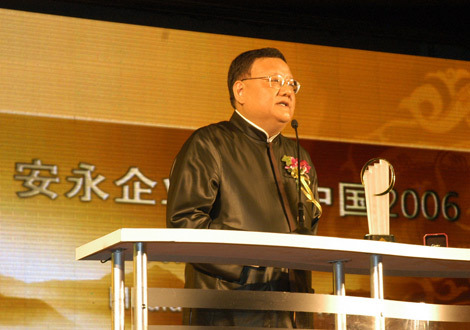 2 DEC：At the 2015 Asian Television Awards event, which was held at Suntec City in Singapore, the Chairman and CEO of Phoenix Television, Mr. Liu Changle J.P., received the Outstanding Contribution to Asian Television Award, which confirmed that he has made many contributions to the Asian television industry and is a leader in the media world. 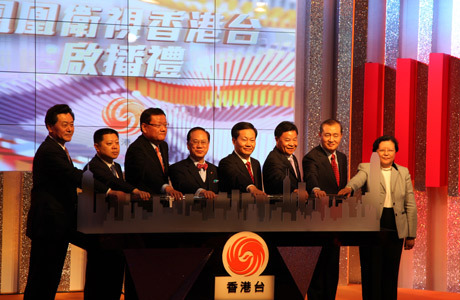 20 February: The Hong Kong office of Sina Weibo held the “Weibo Ten Most Influential Awards Ceremony of 2013”, which identified the most influential enterprises, media groups and the most popular topics in Hong Kong. 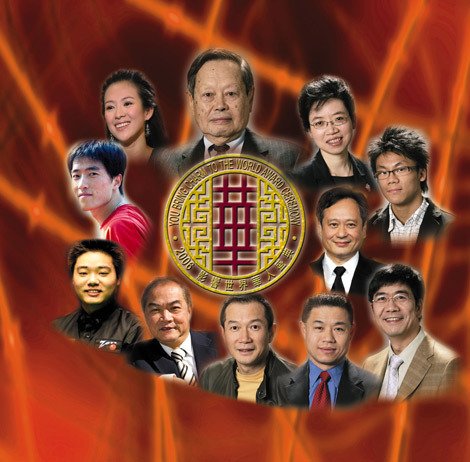 Phoenix relied on its overall active presence on Weibo, its power of communication, and overall coverage to win the award for being the number one of the “Top 10 Weibo Most Influential HK Media” in 2013. 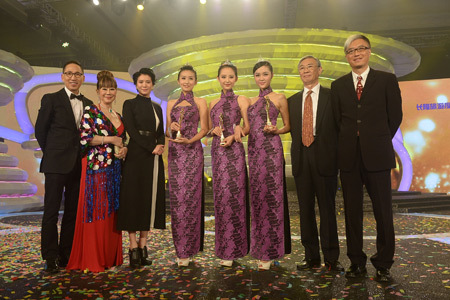 Other winners of the awards including: Television Broadcasts Limited, and several newspapers including Sing Pao, Ta Kung Pao and the South China Morning Post. 10 April: At the Television Awards division of 2014 50th Chicago International Film Festival the Phoenix program “News Zone: Pig Carcasses in the Huangpu River”, was awarded the Gold Plaque for “Investigative Reporting/News Documentary” and the documentary programme “The Journey to North Korea” was awarded a Certificate of Merit in the same category, and the programme “Omni Media Online” was awarded the Silver Plaque for Art Direction/ Production Design. 11 May At the National Buddha’s Birthday Celebration which was staged by the Fo Guang Shan Monastery on Ketagalan Boulevard in central Taipei and which marked the opening of the once a year Buddhist Carnival, Mr. LIU Changle J.P., the Chairman and CEO of Phoenix, participated in the ceremony and delivered a speech at the event, emphasizing the value of tolerance and benevolence. 30 May The 2014 Shangri-La Dialogue was held in Singapore and attracted several hundred political leaders and experts in the area of defence and foreign policy. The London-based International Institute of Strategic Studies and Phoenix jointly held a television debate in the conference hall of the Shangri-La Hotel, which stood out as the first main event at the opening of this year’s Dialogue. 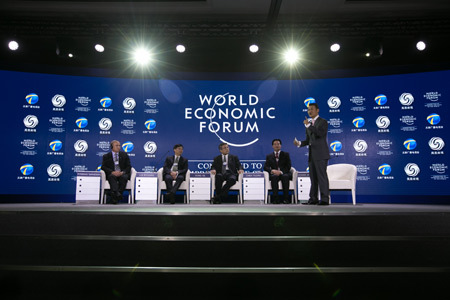 11 September: At the 2014 summer Davos Forum which was held in Tianjin, Phoenix and the Tianjin Broadcasting Television Station jointly staged a televised debate on the subject of “Creating a Green Chinese Economy”. Leaders of the new energy industry from China and abroad, along with researchers and academics specializing in energy economics, debated the future development of Green Energy in China. 24 September Announced in Hong Kong, the 2014 9th《The Asia’s 500 Most Influential Brands》event which was organized and published by the World Brand Laboratory and the World Executive Group, Phoenix was named for the ninth time as one of the《The Asia’s 500 Most Influential Brands》, and was also named as one of the four most influential television media brands in Asia. Phoenix Executive Vice President and Chief Financial Officer, Mr. K.K. Yeung, personally received the awards from senior Professor Ziv Carmon of the INSEAD Business Administration School and senior Professor Ravi Dhar of Yale School of Management. 25 October: Phoenix held the “2014 Miss Chinese Cosmos Pageant” in Zhuhai. The ten finalists from around the world competed before the judges by answering questions, dancing and performing. The contest was won by Miss Liu Zhongqing, and Miss He Wenqian and Miss Yang Xue were the first and second runner-ups respectively. 30 January: Phoenix entered into agreements with a major television operator in Macau to make Phoenix programmes available to Macau viewers in hotels, commercial premises and in their homes. 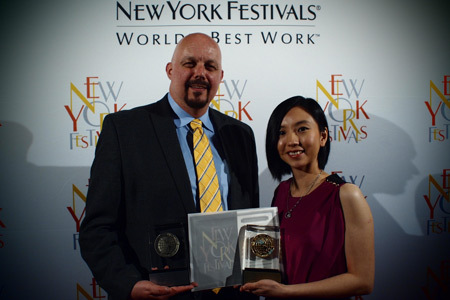 9 April: At the New York Festivals – World’s Best TV and Films Competition which was held in Las Vegas, a Phoenix documentary was awarded both the Gold World Medal for the Best Investigative Report and the Silver World Medal for the Social Issues Documentary/Information Program as well as a finalist certificate in the Best Public Affairs Program Category. 23 April: At the Chicago International Film Festival, two Phoenix documentaries won the Gold and the Silver Plaques respectively in the Investigative Reporting and News Documentary Category; and another documentary won the Silver Plaque in the Public Affairs/Video News Release Category. 28 September The World Brand Laboratory named Phoenix as one of 《The Asia’s 500 most influential brands》for the eighth year in succession. On this occasion Phoenix’s rating increased by 12 places. The World Brand Laboratory also rated Phoenix as one of the four most influential television media companies in Asia. The Executive Vice President of Phoenix, Mr. YEUNG Ka Keung, personally received the award from Nobel Prize-winning economist Mr. Robert Mundell and Yale University Professor Ravi Dhar. 26 October Phoenix held the 2013 Miss Chinese Cosmos Pageant in the seaside resort area of Zhuhai. The twelve finalists competed before the panel of judges by answering questions, dancing and performing. Miss Wang Jinyao from Beijing won the first prize, and the second and third prizes went to Miss Mou Guanhong from the United States and Miss Zeng Yue from Hubei. 5 December: The International Council for Caring Communities held its second conference and musical event in the Great Hall of the United Nations Headquarters in New York. Over 200 guests from around the world attended and the Caring Citizens of Humanity Award was presented to the head of Phoenix’s North Asia Bureau, Mr. Tu Tu, who was the first Chinese citizen to receive this award. 25 December “The World’s 500 Largest Media Company” produced by the World Media Lab listed Phoenix as one of the five largest television media company in China. 18 January A formal reception at the Phoenix Headquarters celebrated the initial broadcasting of Phoenix U Radio and the opening of the Phoenix Cultural Products Display Chamber. The Hong Kong Chief Executive Donald Tsang, the Deputy Director of the Liaison Office of the Central People’s Government in the HKSAR, Huang Lanfa, and the Deputy Commissioner of the Commissioner's Office in HKSAR, Hong Xiaoyong were among those who attended the event. 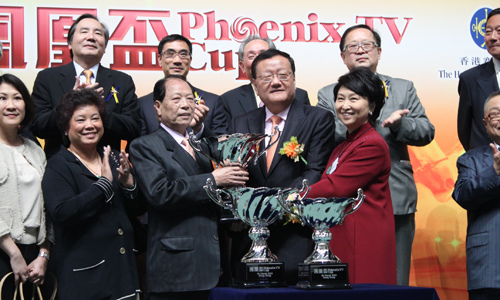 28 March: In order to celebrate the sixteenth anniversary of Phoenix Satellite Television and the first anniversary of Phoenix Hong Kong Channel, the Hong Kong Jockey Club cooperated with Phoenix to hold a “Phoenix Cup” race at the Happy Valley race course. 19 to 21 April: Phoenix served as the host for the 2012 International Academy Day, an annual event that the International Academy of Television Arts and Sciences holds in a different global city each year. On this occasion 65 television, film and media executives from the Americas, Europe, Africa, the Middle East and the Asia-Pacific made a three-day tour of Hong Kong and Shenzhen that was organized by Phoenix, and which featured tours of scenic locations and meetings with senior officials in both Hong Kong and Shenzhen. 24 April: At the 55th New York Film Festival two Phoenix documentaries, “China Sizzles --- The Way Out to Address Climate Change” --- won the Silver World Medal in the category group of Documentary/Information Program and “The Way Home – A Motorcycle Journey” received the Finalist Certificate in the category of Social Issues/Current Events. 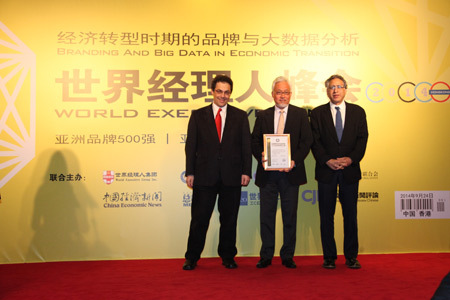 27 September: Phoenix is named as one of “Asia’s Most Influential Brands” by “World Entrepreneur Magazine”. This was the seventh year running Phoenix has appeared on the list, and was graded 44 places higher than last year. It was also ranked as one of the four most powerful media brands. Earlier in the year Phoenix had also been rated as one of the 500 Most Valuable Brands in China by the World Brand Laboratory. 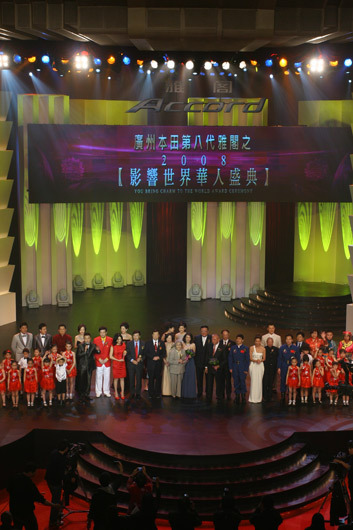 27 October: Phoenix held the 2012 Miss Chinese Cosmos Pageant in Hong Kong. The twelve finalists competed before the panel of judges by performing multiple tasks. Miss Zhang Ziqi from Australia won the first prize, and the second and third prizes went to Miss Xu Jing from Tianjin and Miss Ding Xiaosen from Canada. 7 November: At the 2012 International Media Awards event hosted in London by the International Broadcasting Association, Phoenix received The High Level Award for the Best Real-Time News Report for its coverage of the Wenzhou Express Train accident. The committee of judges considered that this news report had a high level of news sensitivity and at the same time had full coverage. 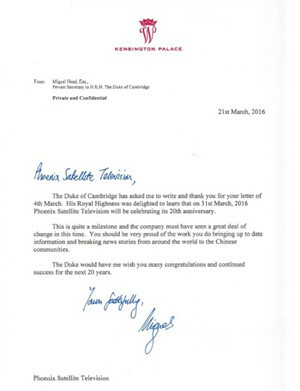 30 November: One of Phoenix’s leading international reporters, Ms Theresa Fu Xiaotian, received the International News Media Contribution Award on the Cambridgelist of the Most Distinguished Chinese People in the World in 2012 for her reporting on a range of international events including the wedding in the British royal family and the conflict in Libya. 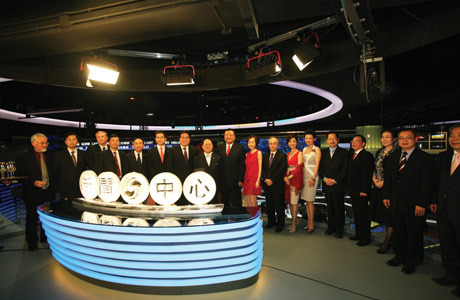 28 MARCH: Phoenix Hong Kong Channel was officially launched in Hong Kong. MARCH: Various events were organized in the Great Hall of the People in Beijing, Tsinghua University and Peking University to celebrate the 15th Anniversary of Phoenix. 12 MAY: Phoenix New Media Limited (NYSE:FENG) was listed on the New York Stock Exchange at an offer price of US$11. 25 MAY: The TV series “Dream Home” originated by Phoenix North America Chinese Channel, was awarded a silver medal by the 2011 Annual Communicator Awards. The award was judged by the world’s most renowned media companies including YAHOO, Disney, HBO, etc, with reference to the creativity, the influence on the industry and the society of the product. 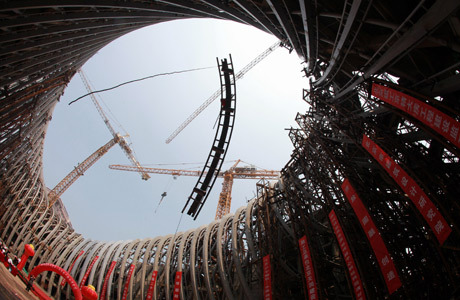 27 MAY: The construction of the steel structural framework of the Phoenix Centre, which is situated at the south-western corner of Chaoyang Park, Beijing, was completed and the Chairman and CEO of Phoenix Satellite Television Holdings Ltd., Mr. LIU Changle, was present at this high-end ceremony. 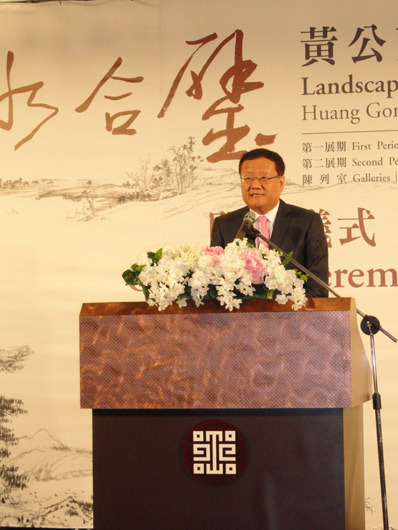 1 JUNE: An exhibition of “Landscape Reunited - Huang Gongwang and Dwelling in the Fuchun Mountains”, which involved the reunification of a long separated work created a long time ago during the Yuan Dynasty, which was sponsored and organized by Phoenix Satellite Television, was held at the National Palace Museum in Taipei. 22 OCTOBER: The final of the “Miss Chinese Cosmos Pageant 2011” hosted by Phoenix Satellite Television was held at the Kowloon Bay International Trade & Exhibition Centre, Hong Kong. After vigorous competition involving Q&A, dancing, etc. between 12 contestants, Miss Ai Chu-er (No. 10) won the crown, while the first runner-up and the second runner-up prizes were awarded to Miss Fu Jie-lin from Malaysia and Miss Wu Chen-cen from Shenzhen. 27 OCTOBER The opening ceremony of the film “Switch”, which is jointly produced by China Film Group, Phoenix Satellite Television and Pegasus & Taihe Entertainment with an investment of over 100 million, was launched at “Autumn Moon Over the Calm Lake”, one of the ten famous scenes at Hangzhou West Lake. In addition to the main characters Mr. Andy Lau, Miss Lin Chi-ling, Miss Zhang Jing-chu and Mr. Tong Dawei, Chairman and CEO of Phoenix Television Mr. Liu Changle JP, Chairman of China Film Group Mr. Han San-ping, Chairman and President of Pegasus & Taihe Entertainment Mr. Sun Jian-jun and officials of Zhejiang Province and Hangzhou City also attended the ceremony. 11 January Phoenix Satellite Television and the largest Thai commercial consortium, the CP Group, signed a cooperation agreement that provides a basis for both sides to work together to produce television programs and media products. The head of the CP Group, Mr. Dhanin Chearavanont, predicted that Phoenix would enjoy ever greater international influence, and Mr. LIU Changle, the Chairman and CEO of Phoenix, characterized the agreement as having historical significance. 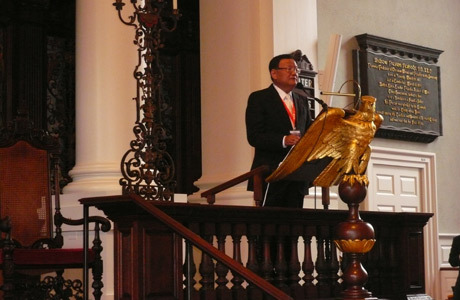 16 –18 April Mr. LIU Changle, the Chairman and CEO of Phoenix Television, addressed the two-day China Forum which was held at Harvard University. At the forum, which was attended by representatives of the media, financial, internet, real estate and other key businesses, Mr. LIU gave an address that focused on the role of the media after China had undergone the process of reform and opening up. 22 April: At a glamorous event in Beijing celebrating the famous charity contributions and work by Chinese women the Phoenix reporter, Ms. Luqiu Luwei, received an award as one of “the Top Ten female brand names in China”. 23 May: Phoenix presenter Chen Luyu conducted an exclusive interview with Secretary of State Hilary Clinton and Treasury Secretary Timothy Geithner shortly after they arrived in Beijing for the second round of the China-United States Strategic and Economic Dialogue. This was the only Chinese television interview that they accepted during this visit to China. 9 November The second “Xing Yun Award for the Truest, Most Virtuous and Beautiful News Broadcasting” ceremony was held in Taipei, and the head of the Taiwan Executive Yuan, Mr. Wu Denyih, gave the Chairman and Chief Executive of Phoenix, Mr. LIU Changle, the “the Greater Chinese World Special Award — the Award for Outstanding Media Business”. 9 November: At the Association of International Broadcasting’s International Media Excellence Awards event Phoenix Satellite Television won the “People’s Choice” for its documentary “Global Warming”, beating entries by CNN, BBC, Sky Television and other broadcasters. Another Phoenix programme, “North Korean Travel Journey 2009”, won the award for the “Best TV Historical Documentary”. 15 FEBRUARY: On 15 February China’s President Hu Jintao accepted an exclusive interview with Phoenix reporter, Zhang Lingyun, who was accompanying his delegation on a visit to five Asian and African countries. 28 MARCH: The “You Bring Charm to the World Award Ceremony”, which was held in Peking University on 28 March, highlighted the achievements of a range of internationally famous Chinese, including winner of the 2008 Nobel Prize for Chemistry Roger Yongchien Tsien, Professor Zhongli Pan of the University of California Davis, the international film star and founder of the Yi Foundation Jet Li, Malaysian actress Dato Michelle Yeoh, film directors Feng Xiaogang and Zhang Yimou, fashion designer Vivienne Tam, journalist and author Louis Cha, and veteran scientist Qian Xuesen. 30 MARCH Phoenix Satellite Television’s new headquarters in Taipo in Hong Kong’s New Territories were officially opened on 30 March. The event was marked by a ceremony attended by the Chief Executive of the HKSAR, Donald Tsang, the Director of the Liaison Office of the Central People’s Government in the HKSAR, Gao Siren, the Deputy Commissioner of the Commissioner's Office in HKSAR, Yang Zigang, and the Chairman and CEO of Phoenix Satellite Television, Liu Changle. 5 MAY : Secret Documentary, hosted by Chen Xiaonan, won the 45th Chicago International Film Festival Silver Plaque for Documentaries: Arts and Humanities for the special feature “The Sichuan Earthquake — Last 79 Hours of Chen Jian”. This was the second time Chen Xiaonan’s program has received an award at the Chicago Film Festival. 17 AUGUST: In order to provide assistance to the victims in Taiwan of Typhoon Morakat Phoenix Satellite Television, the Hong Kong Film Association, ATV and eleven other organizations held a charity event at the Hong Kong Asia World Expo. The Phoenix charitable fund donated HK$10,000,000 to assist Taiwan compatriots. 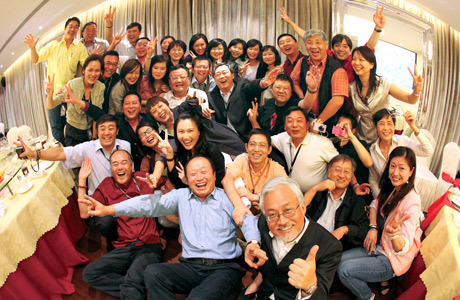 14-17 SEPTEMBER: Nineteen Phoenix reporters from Japan, the United States, France, Iran, Australia, Moscow, Beijing, Shenzhen, Shanghai, Taiwan and other places assembled at the Phoenix headquarters in Hong Kong for a working conference on international reporting. 5 OCTOBER: At the Asia-Pacific Broadcasting Union (ABU) awards ceremony, which was held in the Mongolian capital, Ulan Bator, the general manager of Phoenix Satellite Television’s engineering department, Wicky Law, received the ABU’s Best Engineering Prize for 2009 for the success of his team in establishing the broadcasting facilities at the new Phoenix headquarters in Taipo in Hong Kong. This was the first time this award went to an engineer from the greater China region. 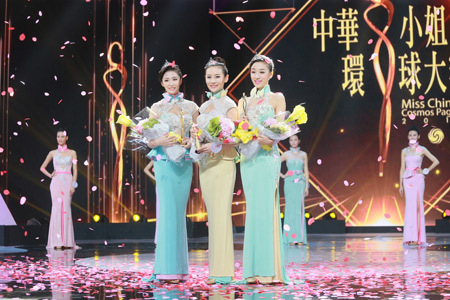 31 OCTOBER: Phoenix held the Miss Chinese Cosmos Pageant in Shanghai at the International Gymnasium Centre where the Beijing contestant Tian Tong won first prize, the Shanghai contestant Zhu Yingfei won second prize, and Li Ruoning from Shaanxi won third prize. Tian Tong also won the Miss Photogenic Award. 18 NOVEMBER: Phoenix for the first time was rated by Forbes Asia as one of the Asia-Pacific region’s top 200 small to midsize companies. The other companies on the list included Alibaba, Baidu, Sina.com, Soho.com, Emperor Watch and Jewellery, Cafe de Coral, and Ports Design. 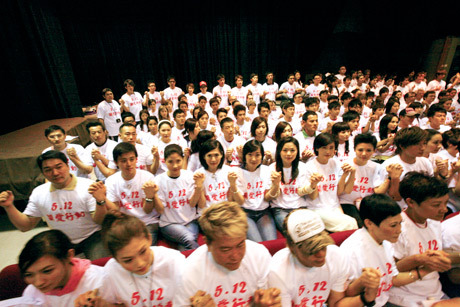 February: Over one hundred Hong Kong singers, actors and performers, including Cantonese opera artists from the Chinese Artists Association of Hong Kong, participated in a musical concert at RTHK, compered by a Phoenix Television presenter, which sent a message of hope and concern to the victims of the unusually heavy snowstorms across southern China. March: The “You Bring Charm to the World Award Ceremony”, which Phoenix hosts every year to recognize the contribution that a select group of outstanding Chinese have made to the global community, was held in Peking University. Among the twelve who received awards this year were Elaine Chao, the United States Labor Secretary, the American figure skater and Public Diplomacy Ambassador Michelle Kwan, the basketball player Yao Ming, the actor Jacky Chan and the actress Gong Li. May: Phoenix Television combined with the Hong Kong Performers’ Association, TVB, ATV, RTHK, and Metro Radio to present a combined performance in support of the victims of the Sichuan earthquake. Phoenix presenters Sally Wu, Li Hui and Tiger Hu compered the evening’s presentation. 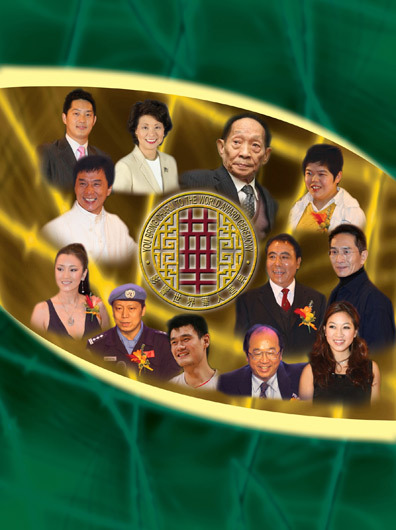 The Hong Kong performers who participated included Alan Tam, Andy Lau, Eric Tsang, Hacken Lee, Jacky Cheung, Gigi Leung, Miriam Yeung, and Paula Tsui. The Chairman and CEO of Phoenix Satellite Television Holdings Limited, Liu Changle, accompanied by presenters Sally Wu, Chen Luyu, Dou Wentao, Shen Xing and Lawrence Ho traveled to Sichuan’s Zhenhexing village, which was one of the worst affected areas in the 12 May earthquake to witness the ceremony of the villagers moving into new residences and presenting the villagers with television sets. 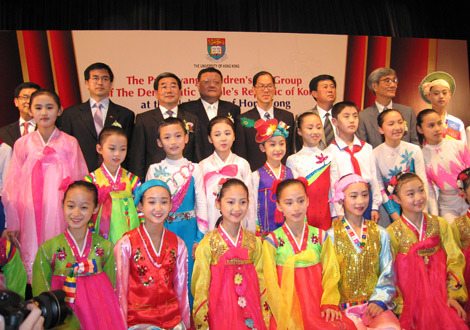 July: The Pyongyang Children’s Art Group of the Democratic Republic of Korea, which had been invited to Hong Kong by Phoenix, performed at Hong Kong University. This was the first occasion on which a North Korean performing group had given a presentation in Hong Kong. 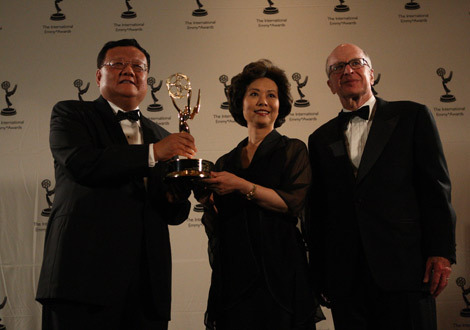 November: At the International Emmy Awards presentation ceremony in New York, the Chairman and CEO of Phoenix Television Holdings Limited, Liu Changle received the International Emmy Directorate Award for 2008 for his contribution over many years to bringing Chinese media onto the world stage. 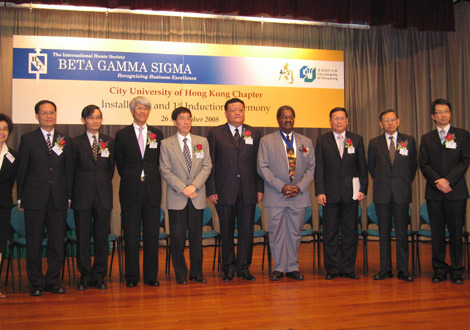 The Commerce Department of the Hong Kong City University established a branch of Beta Gamma Sigma, a long-established honor society for business students and scholars, and awarded honorary membership to the Chairman and CEO of Phoenix Satellite Television Holdings Limited, Liu Changle, and to the director of the Hong Kong Monetary Authority, Joseph Yam. 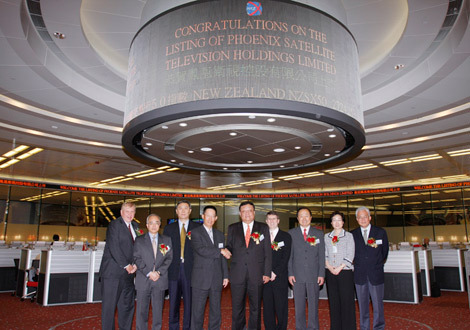 December: Phoenix Satellite Television Holdings Limited moved from the Growth Enterprise Market to the Main Board of the Hong Kong Stock Exchange, with the stock code of 2008. 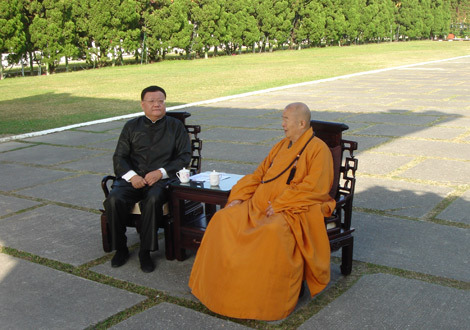 January: The Chairman and CEO of Phoenix, Liu Changle, held a one-day dialogue with the renowned Buddhist scholar and head of the Fo Guang International Buddhist Order, Venerable Master HsingYun, at the Order’s headquarters in Kaohsiung in Taiwan. Xu Guangchun, Secretary of the Henan Party Committee and former head of the State Administration of Radio, Film and Television, visited Phoenix Satellite Television’s offices in Hong Kong. February: Phoenix Chairman Liu Changle received the Ernst & Young Entrepreneur of the Year China award at a ceremony in Beijing. March: The phoenix “You Bring Charm to the World” award ceremony, which recognized the contributions prominent Chinese cultural, scientific sporting and political figures have made to the global community, was held at Peking University on 31 March, the eleventh anniversary of the founding of Phoenix Television. 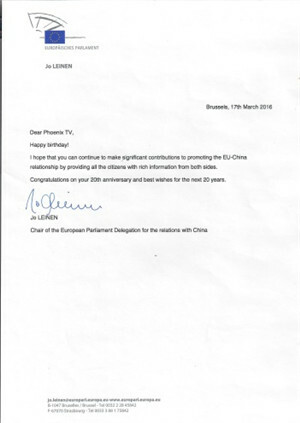 June: Phoenix began to broadcast in Australia on the Jade DTH system, strengthening its access to the Western country with the largest overseas Chinese community calculated on a per capita basis. 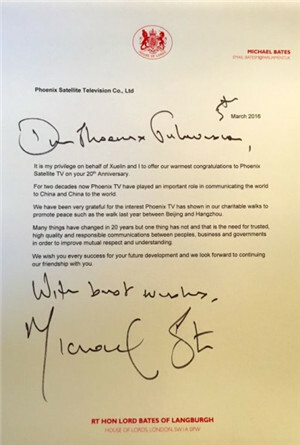 July: Phoenix and the Hong Kong-broadcaster TVB were selected by the Hong Kong Government to be the officially endorsed television broadcasters covering the celebration of the tenth anniversary of the return of Hong Kong to Chinese sovereignty. In the course of the celebrations Phoenix presenter Sally Wu, interviewed Donald Tsang, the Chief Executive of the Hong Kong Special Administrative Region. Phoenix provided extensive coverage of the Special Olympics which were held in Shanghai in October, and in the lead up to this event the Chairman of Phoenix, Liu Changle, attended an event in the torch relay at the White House in Washington DC. 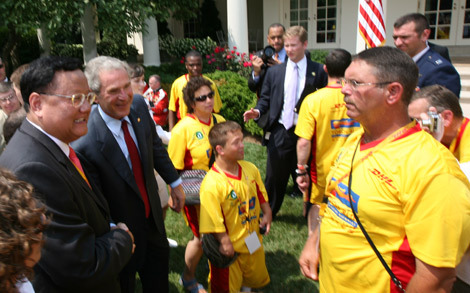 President George W. Bush was also present at this event. 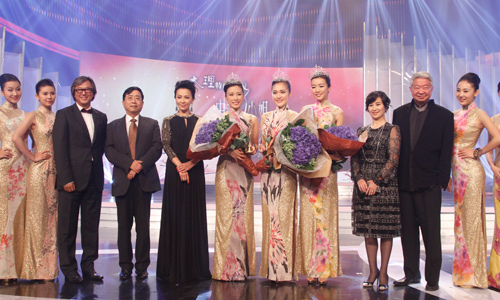 November: Phoenix held annual Miss Chinese Cosmos Beauty Pageant in Hong Kong.